We lead the way! 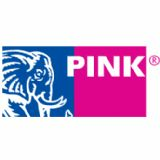 A premier global training, consulting and conference service provider, Pink Elephant has an undisputed reputation for leading the way. We're proud of our pioneering and innovative spirit, which has enabled us to introduce and spearhead many revolutionary concepts and programs since our inception forty years ago.